An oxymoron is a figure of speech made up of words with very different meanings, such as "jumbo shrimp." 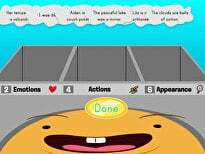 In this creative writing activity, students will put their figurative language skills to the test as they craft a story using some catchy contradictory phrases! Oxymorons are seriously fun business! 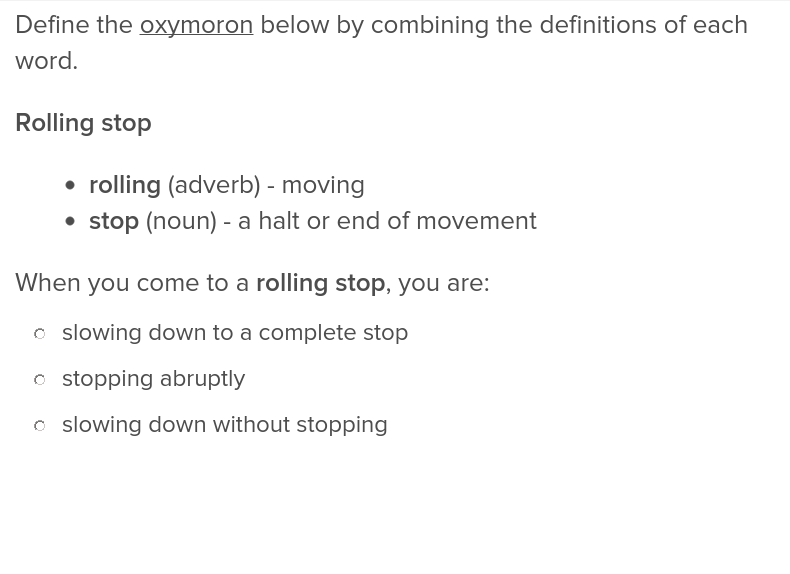 Your fifth graders will have fun making oxymorons by matching contradictory words, as well as crafting unique sentences as they practise using these antithetical phrases in their writing. Help your students practise using two antonyms to create an oxymoron. Why is the maths book so sad? It has too many problems! Help your students bring puns to life by having them create visuals to represent the play on words. Kids will have a blast reading the puns and making their own illustrations to accompany them. The second in a series, this activity allows students to match definitions and sentences with challenging vocabulary words which are common in year 6 texts.